All the best! This is definitely a year of celebrations in Salzburg! 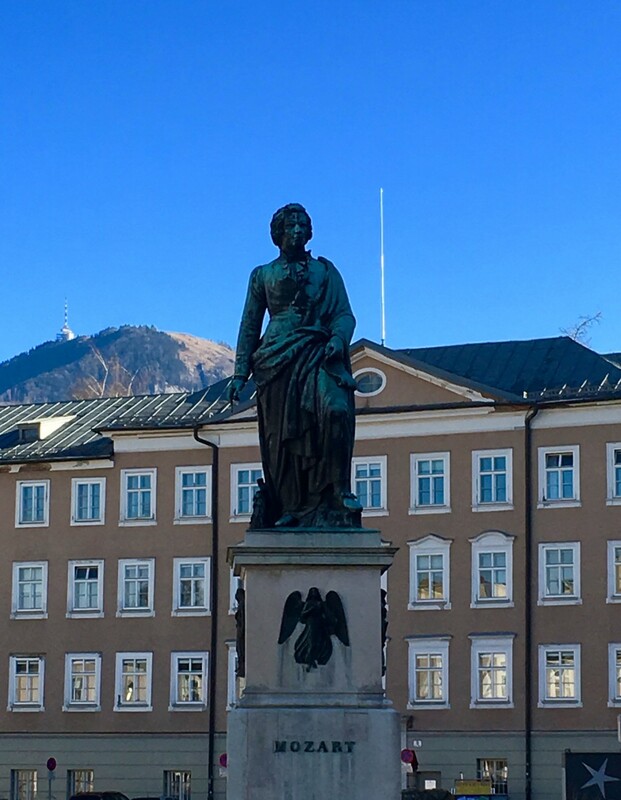 Not only Salzburg’s 200 years in Austria, also 400 years Hellbrunn Palace celebrations and exhibitions AND of course 260 years’ Wolfgang Amadeus Mozart! 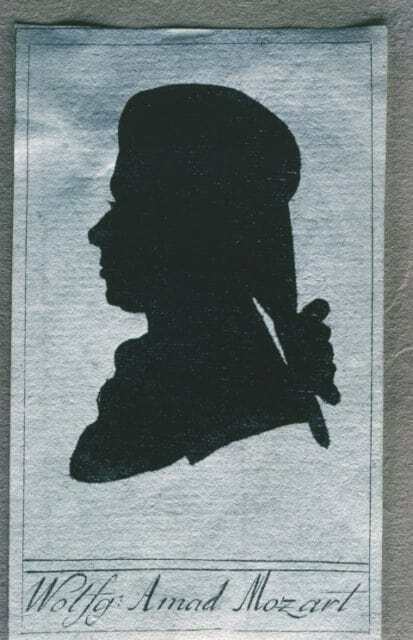 260 years ago, the musical genius Wolfgang Amadeus Mozart was born in Salzburg, in the Getreidegasse. He also lived in the so called new town of Salzburg before he left to Vienna. Happy birthday, Wolferl! Rock me Amadeus – Celebrate composer’s lifetime. This time we all celebrate it with gifts, candles or champagne. An important part of these festivals make the customs and traditions that have evolved over the decades. But how actually looked a typical celebration in Mozart’s lifetime in the year 1756? Wolfgang Amadeus Mozart lived in a time when most festivities were facing major changes, because the celebrations were increasingly romantic and sociable. A widely used celebration time in the 18th century was Easter. Even the Easter Bunny, the brightly painted and hidden the eggs, was already known. At the time, the hare was mainly a symbol of fertility and mindfulness. Until the late 18th century, it was also a common custom of the “Palm Donkey” must accompany the Easter procession: a decorated donkey, who carried the statue of Christ or were allowed to ride on the children. The Christmas party was celebrated in Mozart’s lifetime already as a quiet evening with the family. Already in the 18th century they turned to Christmas trees and nativity scenes performed in their own homes. It symbolized a fir or a spruce in the home bringing life and hope. Unless it has been allowed from the family status, the children received presents from their parents. Today’s birthday is a celebration that is very different all around the world. That was not always so. Until the 18th century, birthday celebrations were only reserved for higher social classes, the poorer ones were not able to afford the high costs. Even the musical genius Wolfgang Amadeus Mozart was often in financial straits due to his way of life. An widespread tradition was to provide a cake with candles for the birthday child. The fire of the candles should originally drive away evil spirits and protect against misfortune or illness. On August 4th, 1782 Wolfgang Amadeus Mozart married at the age of 26 years Constanze Weber without parental approval. This was very unusal during these times. The wedding traditions were very different depending on the region where they were living as well as it is today. The festivities often lasted for several days and were committed with a sumptuous omitted wedding receptions and gifts. Also with a very well ornated bride, throwing a wedding bouquet and the giving of a dowry or trousseau. The marriage had a high priority in people’s lives and was particularly for women an important stage of life. Judging from the letters of Wolfgang Amadeus Mozart after, the couple had a perfectly happy marriage. Constanze was a muse who inspired the composer Mozart in his work. The focus is on the brilliant artist who escapes from a tyrannical-loving father and a family and social system of paternalism flees to unfold finally as a musician and a genius in music. 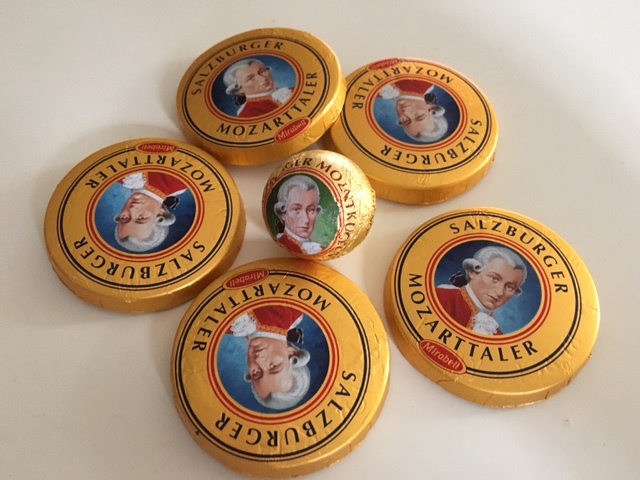 In honor of the composer genius the first Mozart Ball was done in 1890 – I am sure you remember the visit of Austria and the variety of different Mozart balls – of course – everyone is the first, the oldest, the orignal and so on. They are all unique compositions, which are known as theirs namesake as ambassadors of Austria, far beyond the borders of the country. 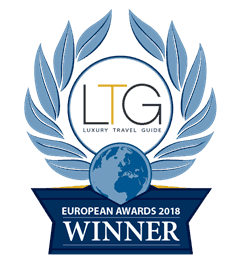 We definitely recommend to taste some of them and make your own choice which you like and take them with you home as a typical memory to Salzburg, Austria – b(e) specialtours!